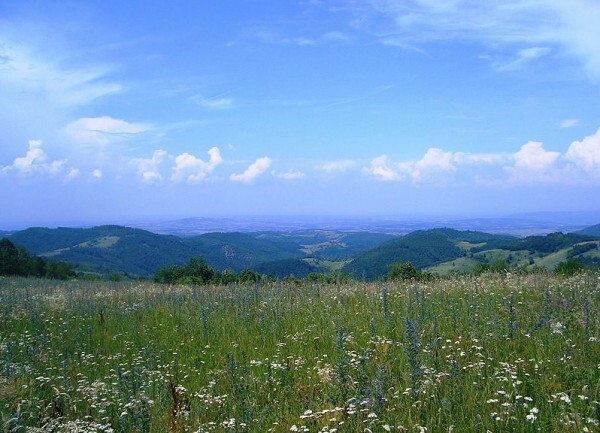 In the Balkan nation of Serbia you’ll find sleeping giants. They lounge under thick forested coverings, along murmuring streams and shimmering lakes, with nothing but winding roads and wildflowers upon them. In flatter areas, carefully stacked stone walls, forgotten castles, and sagging huts live happily shackled to sunflower fields and lush grasses. 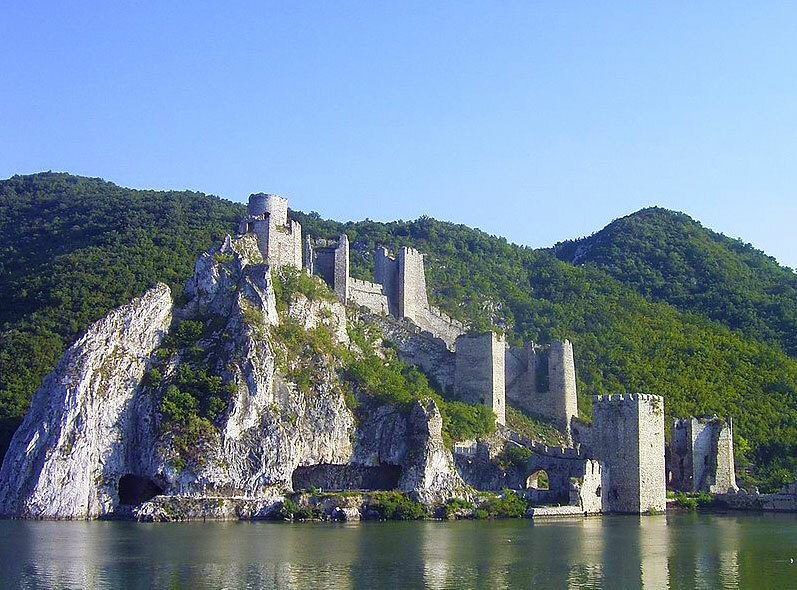 Golubac Fortress, by Denis Barthel. 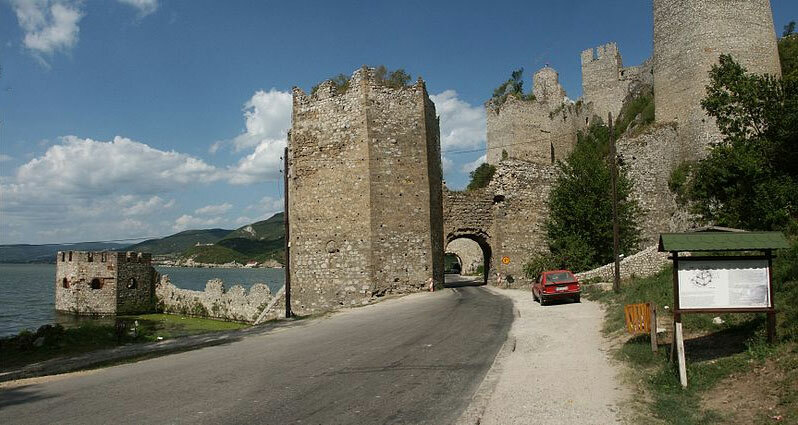 Golubac Fortress, by Angelo Mastrogiacomo. In this cool, sometimes foggy land – this is where you’ll find hearty country food. Food that fuels. Prebranac, for example – baked beans with paprika and sometimes sausage (something we’ve already enjoyed once on this Adventure), keeps traditional hearths warm. Soft, polenta-like corn bread sops up the juices, perhaps of stuffed peppers or even roasts. Goodness, how her cities clamor up the hillsides. 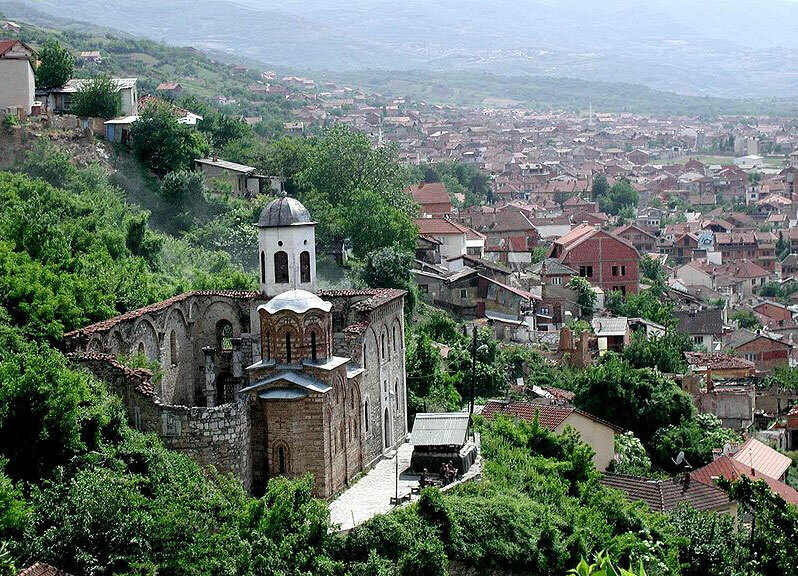 Prizren, photo by Majstor Mile. In many ways, I have a sense of deja vu this week, as though I’ve tasted Serbia before. As you can see by all the links, many of her favorite spreads we’ve made before (although, certainly, Serbia has her own variations on these regional favorites). You can add stuffed cabbage, ajvar pepper dip and spread, cevapi (a..k.a. finger sausages), and pljeskavica (a.k.a. giant hamburger city) to the list. For something new (to this blog), perhaps a bite of Musaka (a layered meat and potato casserole variation on the Greek standby made with eggplant) [Recipe] with a fresh Serbian salad topped with shredded cheese [Recipe]? Or find yourself seduced by a chocolate and cream sponge cake (called Ledene Kocke) [Recipe]. And finish it all off with a good shot of strong coffee. Serbian maps and flag. Photo of Serbian people by Aktron / Wikimedia Commons. And… cue the music. I’m hungry. I can’t believe there’s only 43 weeks left! I still vividly remember your humble FlyLady testimonial, which first took me your blog all the way back in the B’s. What a journey you’ve made since then, it’s very inspirational for me in many ways. I can’t wait to hear more about what National Geographic is up to! Please change this map because is not real and offend all Serbs and Serbia ,this is not nice from you ,I expect from you that you will not support fake and narcotik state Kosovo ,Kosovo and Metohia is part of Republic of Serbia so please if you really want write something about Serbia first change this and for the next time first collect all information about that country and then write and share !